To call any SAP Tcode from within program when a user chooses any menu options or selects any button on the GUI we use CALL TRANSACTION ‘XXXX’ in the program. 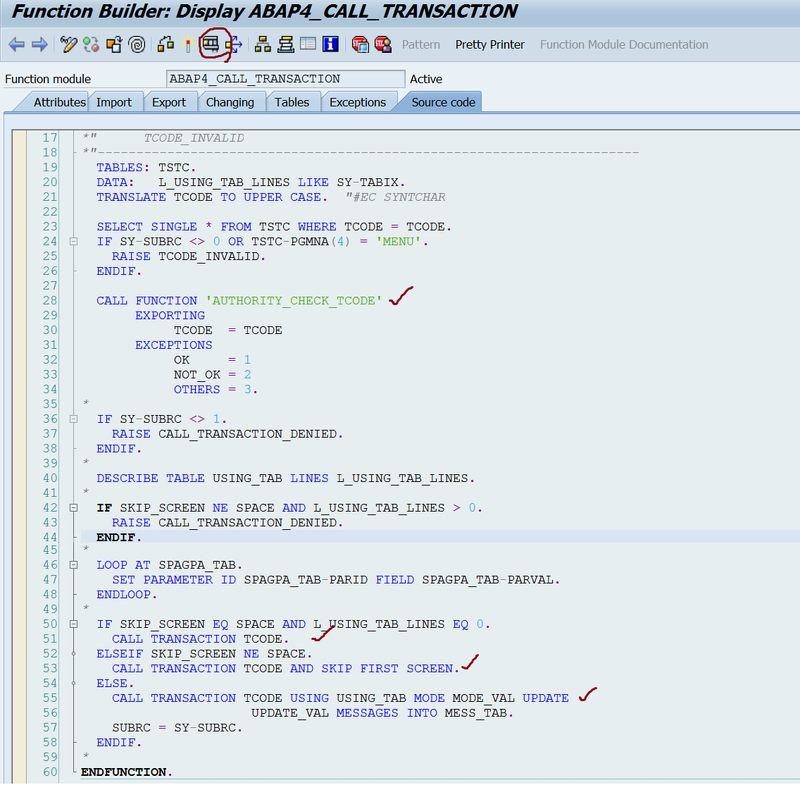 An alternative to this SAP provides a standard FM ‘ABAP4_CALL_TRANSACTION’ which can be used as an alternative to CALL TRANSACTION statement where we have the authority check for the user and a lot more variants to the CALL TRANSATION statement exists. Provide the transaction code name and execute. So here it calls the Transaction .